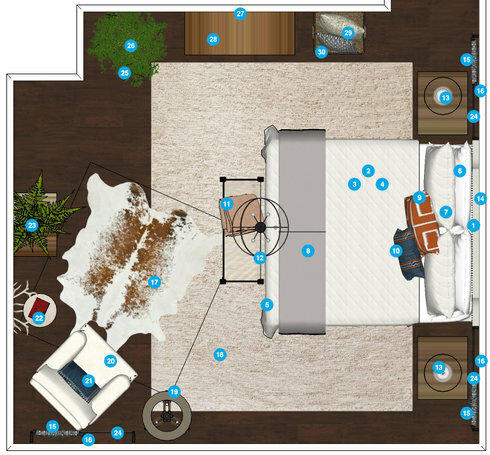 My husband and I are adding a master suite onto our home (master bedroom & bath). The good news is I'm starting from scratch, so the space can basically be anything I want it to be. The challenge is to blend my more traditional style with a touch of cottage & modern with my husband's very relaxed, casual/lodge tastes so that it appeals to both of us. 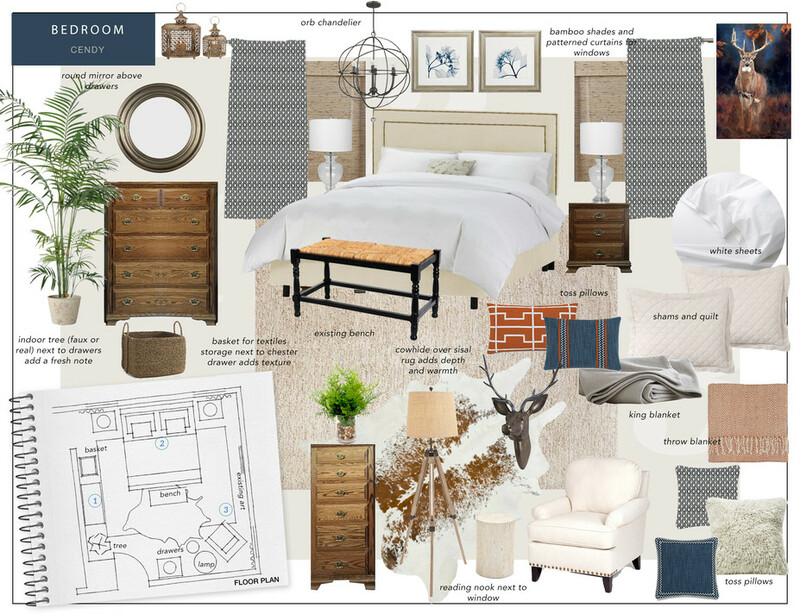 I think my tastes are a mix of transitional & country/cottage with a slight hint of modern. I have a pheasant painting that I may or may not want to use. I would like to have a custom bedding set made, because I have not found anything online that appeals to me. I would like to have a chair/ottoman and a small table and lamp for reading. PB ESSENTIAL BED SKIRT Designed for exceptional softness that's easy on your budget, our PB Essentials Bedding is simply the best value you can find.SIZE: KING. LENGTH: 18" DROP. COLOR: WHITE Discount link available to project holder only 78 x 80"
PB ORGANIC 400-THREAD-COUNT SHEET SET Our PB Organic Bedding is made of 100% organic cotton that’s grown in the USA and then woven to a supremely soft 400-thread-count percale.SIZE: KING. COLOR: WHITE Discount link available to project holder only Fitted Sheet: 78 x 80"; fits mattresses up to 18" deep Flat Sheet: 108 x 105" King Pillowcase (2): 20 x 40"
BELGIAN FLAX LINEN DIAMOND QUILT & SHAM Our Belgian Flax Linen Diamond Quilt is woven from fine Belgian flax that gives the quilted bedding a cool, fresh feel with a silky texture. QUILT SIZE: KING/CAL. KING. SHAM SIZE: KING. COLOR: IVORY (buy 2 shams) Discount link available to project holder only quilt: 108 x 92" sham: 20 x 36"
Quantity: 3 Color: Tropics Kakaru Sandstone TRO-4206. Please double check window measurements before ordering. Discount link available to project holder only 34" x 57"